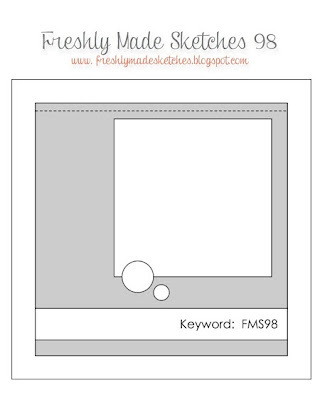 Freshly Made Sketches: There's Still Time to Play With Sketch 98! There's Still Time to Play With Sketch 98! There's still time to play with our sketch! Challenge closes at 12:00 PDT on Monday, August 12, 2013. So be there and be square! See you in the gallery! It's amazing how each card is fresh and with new ideas especially for me. I'm going to have to stop downloading ideas on to my Craft Cabinet APP. My problem is I want to do them all now LOL ! There's Still Time to Play With Sketch 101! Freshly Made Sketches #101 - A Sketch by Linda C.
Winners For Sketch 100 and Prize Giveaway! There's Still Time to Play With Sketch 99! Freshly Made Sketches #98 - A Sketch by Jen M.
There's Still Time To Play With Sketch 97!